The new Mercedes-Benz lineup has something for people with a wide range of budgets in %%target_city_3% and Calveras County, from the entry-level CLA Coupe to world-class luxury and performance models like the Maybach and AMG® GT R Coupe. 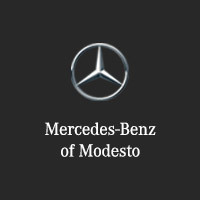 Check out the price options of Mercedes-Benz vehicles here at Mercedes-Benz of Modesto. When you’re ready, find the price of your favorite Mercedes-Benz vehicle here. Contact Us Are Mercedes-Benz Cars Reliable? There’s a Mercedes-Benz sedan for individuals with a wide range of different budgets, from the entry-level C-Class to world-class full-size luxury sedans like the S-Class and Maybach. From the most affordable model in the Mercedes-Benz lineup to the premium S-Class Coupe, you’ll find a wide variety of options in the Mercedes-Benz coupe lineup. Whether you’re looking for an affordable entry into the luxury SUV segment, a behemoth off-road luxury SUV like the G-Class, or superior suburban opulence, there’s something in this lineup for you. The sporty and sophisticated Mercedes-AMG® lineup gives drivers access to the pinnacle of luxury and performance in a single package. The price range of the AMG® lineup goes from $53,400 starting MSRP for the 2019 Mercedes-Benz AMG® C 43 to $159,350 starting MSRP for the 2019 AMG® GT R Coupe. Find a New Mercedes-Benz Vehicle Near Merced Right Now! The new Mercedes-Benz lineup has something for everyone, including commercial vans. Take the drive from Merced to our dealership in Modesto, CA. Here, we’re proud to offer agreeable financing and leasing terms, so that you can get a great price on your next Mercedes-Benz vehicle. Ready to get started? Apply for financing online – or contact us for questions. 0 comment(s) so far on How Much Do Mercedes-Benz Vehicles Cost?